If you're a regular here, then you know I love soup! When summer begins, I count the days until it's cool enough to make soup again. This year, I'm slacking! I've only made two pots of soup so far and October is almost over! 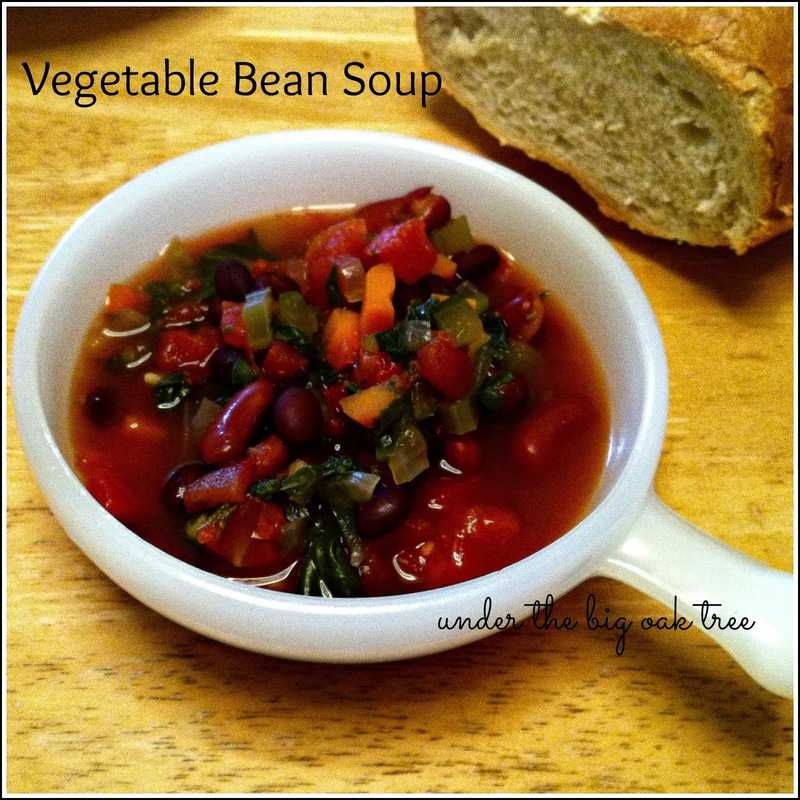 This soup was inspired by the overflowing vegetable bins in my fridge. I had to use 'em or lose 'em! So, after dinner one night, I began chopping and throwing everything into my crock pot. Before I went to bed, I turned the slow cooker on low and let it cook overnight. Cooking overnight seems to be the only way I manage to get dinner on the table these days. Combine ingredients in slow cooker. Cover and cook on low for 6-8 hours. This recipe was a hit! We both enjoyed it for dinner the first night, then I ate the rest throughout the week for lunch. This looks delicious! It's definitely getting cooler here and I'm ready for some yummy soups! Yum! I am also addicted to soup. I love this recipe because it has spinach in it - I always love spinach in soup. I even put it in my chicken noodle. Thanks for the great recipe!